2018 is our BEST CHANCE at flipping this longtime GOP seat, and getting a lead early is crucial to our chances. Early vote is well underway in California’s 21st district — one of most crucial Democratic pickup races in the state. According to reports, “thousands” of mail in ballots have already been cast in this race. For the next two weeks, Democrats in the Central Valley are knocking doors and calling voters to makes sure these early ballots break for TJ Cox. 2018 is our BEST CHANCE at flipping this longtime GOP seat, and getting a lead early is crucial to our chances. It’s imperative that Democrats in CA-21 have everything they need for our final get-out-the-vote push. Can you chip in to make sure we don’t fall short? While our volunteers are on the ground doing everything we can to turnout our supporters, David Valadao and his Washington allies are on the air with desperate attacks trying to turn voters against TJ — that’s their best shot at winning. 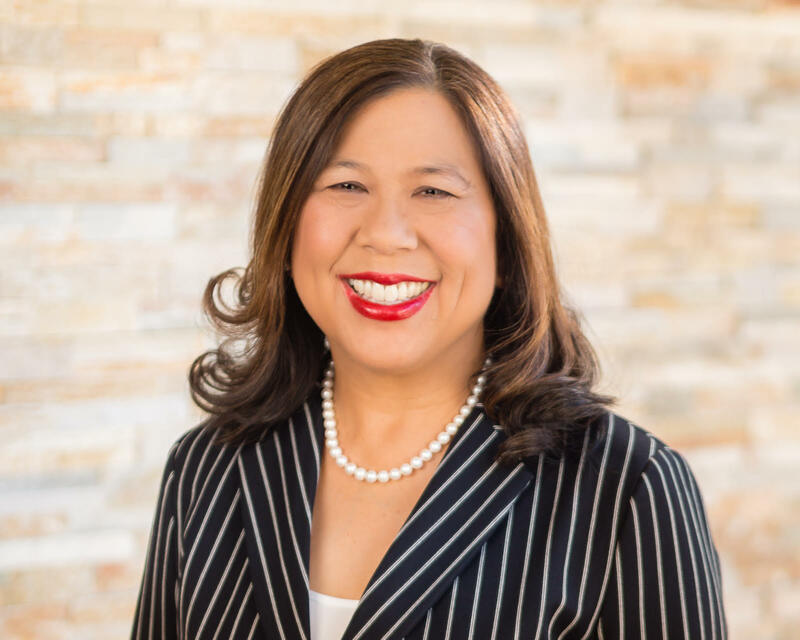 Our warmest birthday wishes to State Controller Betty Yee! We hope she’s having a wonderful day, and we want to take this opportunity to say California is damn lucky to have a State Controller with an activist’s heart, a Nobel laureate mind, and the progressive spirit of Eleanor Roosevelt, Shirley Chisolm and Leslie Knope. S-O-S! Calling All Cars! All Hands On Deck! The CDP needs volunteers for our Promote & Protect the Vote program. This is a critical part of building the Big Blue Wave. 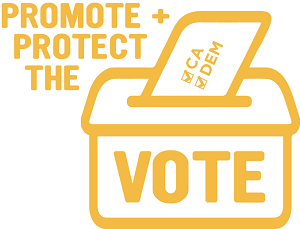 Promote & Protect the Vote is our safeguard against Republican voter suppression and vote tampering. Lawyers can earn CLE credits. For more information, please visit the P2TV webpage. To volunteer for the CDP’s voter protection effort, please e-mail Kasey in the CDP’s Political Department. 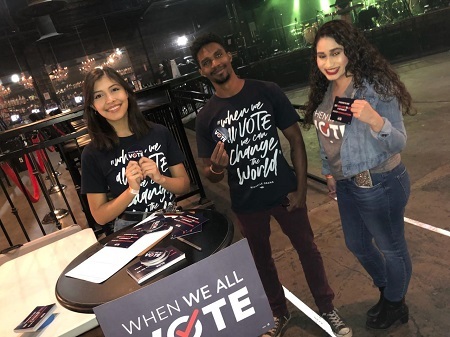 Throughout this week, Your CDP Team was proud to partner with Live Nation and register voters at one of Sacramento’s premier music venues (Ace of Spades – check it out sometime, the staff was extraordinarily courteous and supportive!) for a series of concerts. We were, of course, scrupulous about helping anyone to register regardless of Party, and we welcomed the chance to engage voters, build awareness for the Election and show Democrats in the community, doing the person-to-person work that will create the Big Blue Wave! 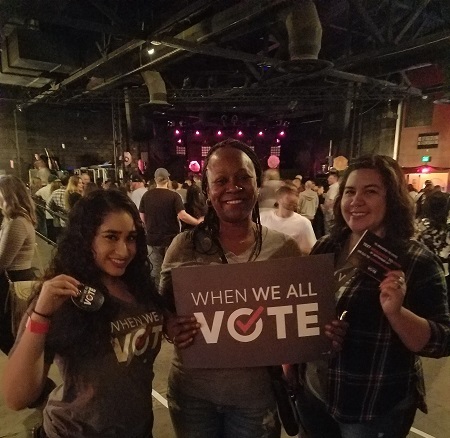 A huge thanks to Live Nation for inviting us to participate and talk to thousands of voters. 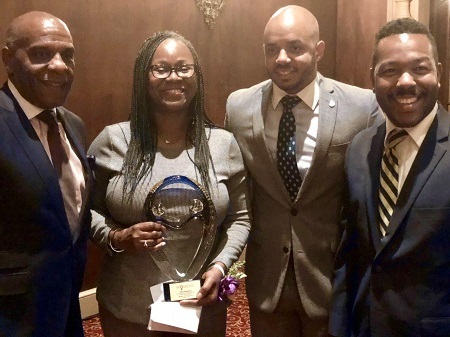 Last Friday, CDP Operations Director Tina McKinnor was honored by the Los Angeles African American Women’s Public Policy Institute as one of their Women of Action. It was a wonderful evening celebrating some of the strong Black Women who have graduated from this prestigious program. Congratulations Tina! 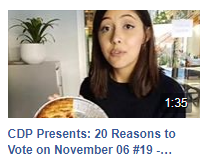 18 Days Until the Election! Last year, I remember watching in disbelief as Speaker Paul Ryan — with the help of David Valadao — blew a hole in the deficit with their massive tax giveaway to corporations through Trump’s tax scam. Then this week, news broke that Republicans in Washington announced their plan to address the deficit — CUT Medicare and Social Security. I’m a pretty even-keeled guy, but this is the type backward policymaking from Washington that absolutely infuriates me. I couldn’t do this alone — thank you for your support. Let’s Finish With A Win! We are in the last two weeks of the election with the finish line in view. With all of our work to this point, now is the time to finish the campaign with a big win! Many of you have supported me for my entire life, and others I have gotten to know in the midst of recent campaigns. Thank you all for your support. Now I turn to you one final time before the filing deadline for contributions tonight and in hopes of finishing strong. Be sure to rally family, friends and neighbors to vote on November 6th! I wanted to pass along this note from my team. I need to be frank here: Our pathway to victory depends on having the resources we need, and we’re depending on your grassroots support to get there. I wouldn’t be doing my best to win this race if I wasn’t doing everything possible to hit this fundraising goal. So I’m asking. Can you join the 211 people who’ve stepped up today by adding a donation to help us raise $30,000 before the close of the weekend? I hate being the bearer of bad news, Friends, but I have to be upfront. Earlier today, we had a budget meeting and I had to tell TJ and the team that (despite your incredible support) we’re still lagging behind the right-wing spending in this district, and risk a budget shortfall if we don’t step up. Here’s the deal, friend: Team TJ is laying it all out there in these final weeks. And I’m doing everything I can to secure the resources we need to flip this seat. So I’m setting a weekend target of $30,000 in grassroots contributions to help us avoid this (potentially devastating) budget shortfall. Can you chip in a donation of $10 or more to help us avoid this setback? You know how important this race is, folks — both for the future of the Central Valley and for our chances at retaking the House. But with all the special interest dollars and super PAC cash flooding in to protect Valadao, we have to do everything we can to match their spending — dollar-for-dollar. As someone who grew up in the Valley and as the daughter of immigrant parents, I know firsthand what it means to achieve the American dream. Growing up, my father taught me the value of hard work. After college I came home to the Valley to serve my community and build a better life for our families. I believe that by working together we can provide opportunity for our children, good jobs for our families and economic prosperity for our communities. That’s why I am running for State Senate; to advocate for all our families for access to healthcare, quality schools, good paying jobs and the opportunity for a better life. Together, we can prove that it’s possible to win elections powered by ordinary people and that the American dream is alive. Our campaign is gaining widespread support, as seen in this recent article — and outside opposition groups are funneling over $450,000 against our campaign as a result. They want to keep the status quo, and I need your help to fight back. Can I count on you to contribute $20 or more before tomorrow’s reporting deadline? Your contribution will help ensure the voices of Valley families are heard loud and clear. I am grateful for your continued support and know that by working together we can win on November 6th. You guessed it…today is my birthday! Yet what I celebrate today are the countless numbers who in the surge of activism that occurred after November 2016, are galvanizing to safeguard the rights and protections that define California — women’s rights, LGBT rights, immigrant rights, environmental protections, worker protections, and more. And my wish this birthday? That the turnout in this mid-term election hit an historic high, with all who are registered voting our voice. Remember the right to vote is the most important as it has the broadest impact on protecting all other rights. In these last weeks leading up to the November 6th election, I will be hitting the ground throughout California to turn out the vote. Won’t you join me in making my wish come true by contributing $100, $50, or $25 to help me get the word out about the importance of voting in this mid-term election? Thank you for your support of my re-election to the office of State Controller. Together, we can create a greater cause for celebration. P. S. Please contribute today. Thank you. “I’m excited to see the President taking our water issues here in the Valley seriously. I support today’s executive order and believe this is a topic I could work well with him on if elected to Congress. We need infrastructure projects in the Valley to get our people back to work and provide the water needed for our farmers to feed America. I have said from the beginning of this campaign that I’m ready to work with anyone, regardless of party preference, who wants to get serious about investing in the Central Valley. That’s why I’ve been the only candidate in this race to support and campaign on Prop 3 which will help our farmers and our residents who need clean drinking water.” said Andrew Janz. Andrew Janz was raised in Visalia and is running for Congress against Devin Nunes in California’s 22nd Congressional District. Andrew’s campaigning on water for the valley, more jobs, protecting social security and medicaid, and fighting corruption in Washington. Andrew Janz is 34 years old and resides in Fresno with his wife Heather and their two dogs. Last year, President Trump issued new rules that would allow employers to deny birth control coverage to women for nearly any reason. We quickly sued and secured a temporary block to prevent these rules from taking effect. Today, we’re arguing our case in court to ensure birth control remains affordable and accessible. I won’t let the Trump Administration drag us backward when it comes to women’s health. 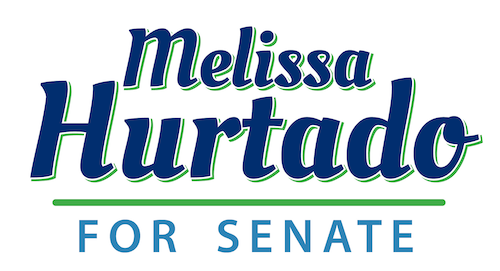 Contribute $5 to help me win in November and keep up this fight. As a member of Congress, I helped write the Affordable Care Act, and I know the law couldn’t be more clear: insurers are required to cover women’s basic preventative health care. That includes birth control. Women — not politicians and definitely not their bosses — should be in charge of making their own healthcare decisions. And I won’t let up until every woman has the right to access the affordable health care she needs. Are you with me? There are less than three weeks until Election Day — pitch in $5 to ensure I can keep up this lawsuit in November and beyond. 6 ways you can help. There are only 18 days left till the election, and ballots have already dropped for many Fresno voters. Have you done your part to help pass Measure P? If you’ve been wanting to get involved, now is the time. 1. Knock on doors. Canvassing is our #1 campaign need, and we are looking for supporters who are willing to spend an afternoon or an evening telling neighbors about the benefits of Measure P. We provide training, a precinct map / house list, and materials. Sign-Up Online. 2. Get a yard sign. Show your neighborhood support for Yes On P with a small yard sign. If you own commercial property on a high-traffic street in Fresno and want a larger 4’x4′ sign, reply and let us know. Learn more online. 3. Volunteer at an event. There are several community events coming up in the next 18 days where we could use volunteer help. Reply to this email with your interest and we will send you a list of event opportunities. 4. Monitor local media. We need volunteers who can listen to local, talk radio stations and let us know when Measure P is being discussed. Call-in to provide your point of view, or let us know so we can make sure accurate information is being shared. Reply to this email and we’ll get you on the media monitoring schedule. 5. Donate. 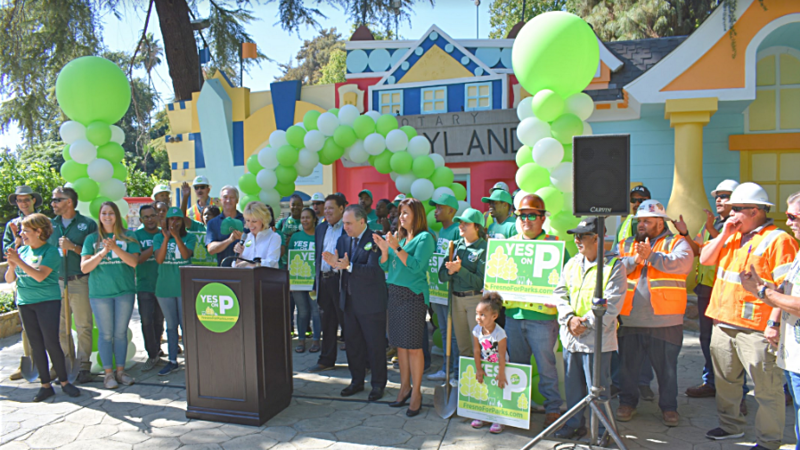 Your contribution to the Yes On P campaign will help ensure we have the resources needed to communicate with Fresno voters about our efforts to bring cleaner, safer neighborhood parks to Fresno. Donate online. 6. Vote. By mail or on November 6th, vote YES on Measure P! I am honored that all 5 of California’s 2018 Teachers of the Year are supporting my campaign! Click to read what these 5 teachers said. My public school teachers made a difference in my life. Throughout my career working in education as a social worker and nonprofit leader, and later as an elected leader, I’ve prioritized the input of teachers when making decisions on what will be best for our students. These teachers of the year have distinguished themselves as among the most innovative and effective teachers in our state. I can’t wait to learn from them and apply their experiences to improve public education for every student in California. There are 18 days until Election Day. Will you help spread the word to voters you know by sharing the words of these top educators on Facebook and Twitter? Thank you! And will you help us keep our ads on the airwaves by donating to our campaign today? Thank you. We will win on Election Day with your support! Trump’s top defender in Congress, Devin Nunes, just announced that he’s raised over $10 million for his reelection campaign. You see, while he hasn’t focused on representing Central Valley families, DC Insider Devin Nunes has been busy enriching himself and his wealthy special-interest backers. All while becoming Trump’s loudest and proudest ally. It might seem daunting to defeat the Trump/Nunes machine, but this race is neck and neck and with the support of people all across the country, we can beat their special interest money. That’s why Rolling Stone, Politico, the San Francisco Chronicle, and the Fresno Bee all agree: The Central Valley deserves Democrat Andrew Janz, not more of the same. Help us win this campaign. Rush a contribution to our efforts today. Valley Works is working to defeat Donald Trump’s #1 supporter in Congress: Devin Nunes. Instead of working for his constituents in the Central Valley, Devin Nunes has been busy defending Donald Trump and enriching himself as a DC Insider. No wonder he’s Trump’s favorite congressman! Luckily, we have a chance to replace him with a fighter for our families in November. Click here to support our work on the ground today.
. There are other ways to stay involved — please continue to follow us on Facebook or Twitter, and thank you for supporting Valley Works. I’m taking a quick break to show you a truly incredible stat about newly registered voters in CA-21. Hey there — Norberto with Team TJ here. Since January 1st, 2017, 23,908 new voters registered in this district. But here’s the best part: ONLY 3,447 are Republicans — the rest are Democrats and unaffiliated registrants — over 80%! Join me at our LAST Fresno Meet & Greet on Monday 10/22! I can’t believe we are just 19 days away from Election Day. Thank you so much for your continued support over the past year and a half. Thank you for your countless hours spent making phone calls, knocking on doors, and writing postcards. We wouldn’t be where we are today — within single digits of Nunes! — without your tireless efforts to spread the word about our campaign. However, I know there are still more CA-22 voters for me to meet! Please join me at our LAST Fresno meet & greet this coming Monday, October 22nd at our Fresno HQ. Please bring your friends, neighbors and family members who haven’t met me yet! Event details are below. I hope to see you there! Give us a virtual high five, because we have A TON to celebrate here at TJ Cox HQ. Last quarter, we outraised David Valadao (again), and we did so with the support of individuals like you chipping in on emails just like this one. Meanwhile, Valadao (again) relied on PACs and his buddies in Washington, but still came up short. Then earlier this week, TJ was endorsed by Fresno Bee — a huge nod of support from a local newspaper! The timing here couldn’t be better: Just as Democrats and undecided voters are receiving their mail-in ballots and making their decisions about who to support — we have incredible momentum, but we can’t stop pushing just yet! Help us seal the deal and flip California’s 21st district, Michael. We’re not relying on any corporate PAC donations, so we need your help. Chip in $5 to make sure we can send TJ Cox to Congress.